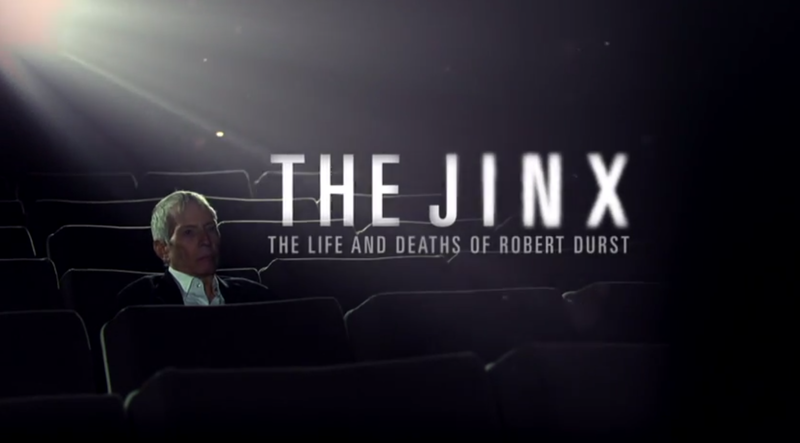 HBO aired a 6 part documentary on the “eccentric heir” by the name of Robert Durst. Not sure why I put that in quotes, because it’s true. But if you were like me, you probably had no idea who this guy was and there’s a good chance that you still don’t, unless of course you’ve been watching HBO for the past couple months or happens to be on Twitter during the last week. This is one of the few times I’m not going to worry about spoilers, but regardless of what I say, I’m telling you now that this is something quite interesting to watch. I went in this documentary blind. I literally had no clue who this guy was, or who the people he allegedly killed were, or why this documentary was even being made about him. Actually the title somewhat grabbed me… Life and Deaths? Did he have multiple identities and kept killing his alter egos? No, but that sounds like a good movie. And while he is somewhat famous, he’s not necessarily Hollywood famous. In fact, his only connection to Hollywood is a film I knew nothing about called All Good Things starring Kirsten Dunst and Ryan Gosling and is based on Durst and his wife. Durst’s wife Kathleen went missing, and it’s alleged that Durst killed her, but he’s always maintained innocence and there wasn’t any evidence that he was involved in her disappearance, let alone her murder. I still haven’t looked into this movie nor do I have a strong desire to see it. Maybe because I just saw Gone Girl? Maybe. But the filmmaker and Durst decided, hey, let’s get to know the real Robert Durst! Thus, we have this HBO presentation. The criticisms I’ve heard about this docu-series is how chronologically difficult it can be. I’m starting with that because the doc starts with Durst’s most recent murder of his elderly mean neighbor he chopped up and discarded offshore while living next door to him as a mute woman, and then stops to dive into his illustrious past with his beautiful wife and their rocky marriage. I want to say I’m getting ahead of myself but that’s more or less the first couple episodes. What I didn’t know six weeks ago was that this was a docu-series and not a stand alone documentary film. So one I DVR’d part 1 and later learned there were multiple parts, I deleted the lone episode and dismissed the series until news broke on Sunday about Durst’s arrest. This was the same day the final part of doc was to air, so I cleared my schedule and powered through the first 5 episodes in time to watch part 6. I said all that to say this: there are moments of disbelief and moments of boredom. I don’t need break-your-neck action every minute, and you’re not going to find that here obviously. But in my defense, it was already a long day and the itis was kicking in and listening to interviews of friends of friends of friends all start to sound like blah blah blah. Albeit information that moves the story, but sometimes not moving fast enough. It was at this point I realized I was watching a better version of the popular podcast Serial. I’m not the first to make this comparison, but I will say this as a spoiler to both broadcasts: Jinx definitely has a more satisfying ending, especially once you tie in the breaking news of his arrest that occurred earlier in the day. No offense to Serial by the way, which I admit I was trying to figure out what Jay’s deal was but whatever. What’s definitely the most interesting thing about this doc is Robert Durst himself. In his younger days he seemed like he’d be normal enough. But the older he got, the weirder he got, apparently. And his family, specifically his brother, seemed to like him even less. What got me on edge was whenever the camera crew or director was either asked to leave or dealt with some authority figure that didn’t want to be bothered. These are the kinds of confrontations I personally couldn’t do or wouldn’t want to do. So don’t expect any expose docs from me anytime soon. A face you can[not] trust. But Durst was a character all himself and was very entertaining to watch. Whether he was reminiscing on his past or a past he made up, he fascinated me. He made me want to grab a camera and follow old people all day… because at one point, that’s what it felt like I was watching. That and during his first interview, a stray nose hair that needed plucking. HD TV shows everything. Speaking of showing everything, for an HBO doc, I never know what to expect with their lack of censorship, and while I mentioned someone being cut up earlier, we get a few shots of those severed pieces. It’s not bloody or gory, but it clear that the leg or arm isn’t attached to a body like it normally would be. And there really isn’t much of a language problem either, except for part 6, but whatever. It’s HBO. Robert Durst is an old man and mutters to himself a lot. You get what I would call and would suspect as foreshadowing when he’s left alone during his interview and whispers to himself. His lawyer comes in to warn him that his mic is still on and everything he thinks he’s saying to himself, is in fact heard by everyone and is recording. So take that as a cautionary tale if you are ever mic’d for any reason, or standing by a microphone, always always assume it’s on and someone is listening. But then again, if you’re Edward Snowden, you can assume mics are everywhere anyway so you’re screwed no matter where you go or what you say. With that said, if crazy geezer murderers aren’t your thing, maybe cyber patriot/traitor is more your style? Check out Citizen Four. (Review coming soon) Bye-bye.